Shmuel – a young, idealistic student – has abandoned his studies in Jerusalem, taking a live-in job as a companion to a cantankerous old man. But Shmuel quickly becomes obsessed with the taciturn Atalia, a woman of enchanting beauty, who also lives in the house. As the household’s tangled, tragic past becomes apparent, so too does story behind the birth of the state of Israel. Journeying back into the deep past, Judas is a love story like no other by a master storyteller at the height of his powers. Judas is the first novel selected for the Amos Oz reading circle established by Natalie Portman. 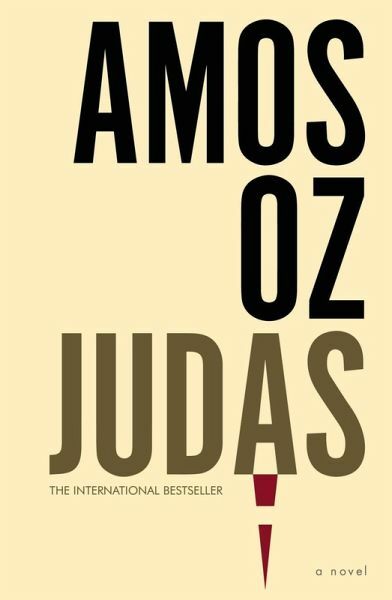 Born in Jerusalem in 1939, Amos Oz is the internationally acclaimed author of many novels and essay collections, translated into over forty languages, including his brilliant semi-autobiographical work, A Tale of Love and Darkness . He has received several international awards, including the Prix Femina, the Israel Prize, the Goethe Prize, the Frankfurt Peace Prize and the 2013 Franz Kafka Prize. He lives in Israel and is considered a towering figure in world literature. "A very absorbing addition to his remarkable oeuvre"